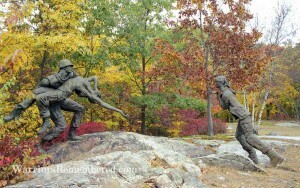 Vietnam Mystery Memorial — Continuing this amazing story. Many have speculated that because of its remote location the memorial must have been erected using a helicopter. Actually the location proved to be accessible with some difficulty by truck. A local granite monument company brought the materials to the site on a lift truck using its crane to place the memorial and the quote stones. Much of the rest of the construction was done by hand with volunteer labor. None of the participants wished any publicity for their efforts, regretting only the LTC Beckley was unable to join them. LTC Beckley did not want to publicize the memorial location. Remembering that it was erected in 1995, the mode of the country toward all things Vietnam left him fearful of possible vandalism. He did not want it to become a tourist attraction, but wanted to reserve it for warriors still dealing with their own demons or wanting to remember their fallen comrades. He also did not want it to become “Stu’s Memorial”. People have questioned why this blog is now apparently breaking his wishes. That is not the case. Starting with the first Gulf War, but more so after 911 and the wars in Iraq and Afghanistan, the mood of the country toward veterans took a 180 degree turn. 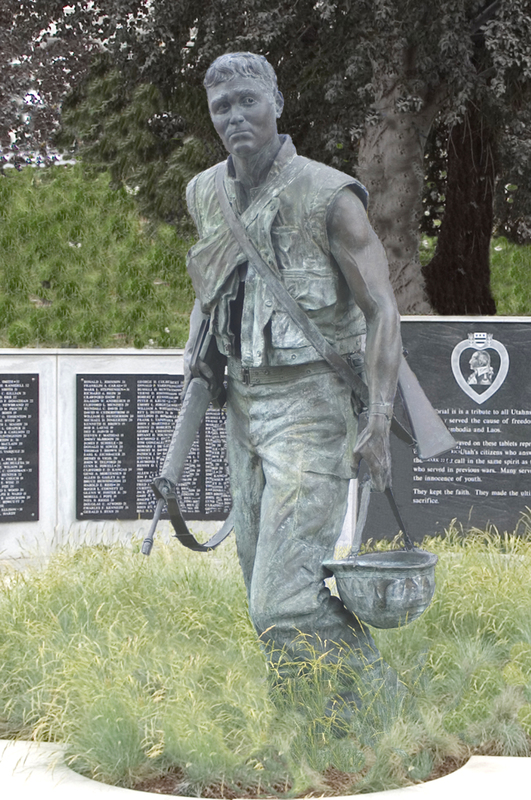 Perhaps suffering from a national guilt at the way Vietnam veterans were treated most people now separated their feelings about war from their respect for those who volunteer to carry out their assigned missions. The warrior was no longer blamed for the war. And Vietnam veterans themselves had pledged that “Never again would one generation of veterans forget another.” Many of the welcome home committees at airports were led by Vietnam veterans. And Vietnam veterans were increasingly taking leadership roles in many veterans organizations. Every effort was being made to keep returning veterans connected. 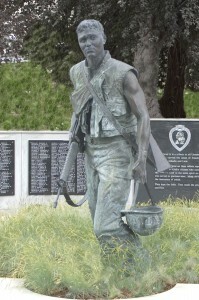 This blog is directed predominantly to veteran groups and just as the photo documentary Warriors Remembered was published to inform veterans of the hundreds of Vietnam veterans memorials in all 50 states, publicizing SOLDIERSTONE offers veterans in the area a chance to visit and heal while remembering their fallen brothers. LTC Beckley would approve. Coming Next: (and without such a long delay) Translating the Quote Stones. Created by LTC Stuart A. Beckley of San Antonio, Texas, SOLDIERSTONE was never visited by its creator. 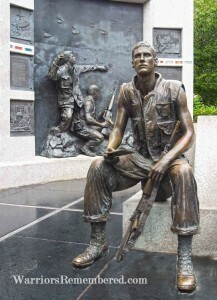 LTC Beckley, an Army Special Forces officer, spent 12 years in Vietnam and wanted this memorial to be a tribute to American warriors and those from every country who fought with them in the Indochina wars. He also wished to fulfill his promise that their sacrifice would not be forgotten. His idea took shape over 25 years and was to have a companion piece; a book entitled Leaves of Stone with stories of some of these warriors. (I can find no record that the book was ever published.) From hundreds of people interested in the SOLDIERSTONE project, Colonel Beckley received unsolicited encouragement, creative ideas, time, and in kind labor and material support, though he personally bore the entire cost of the memorial. 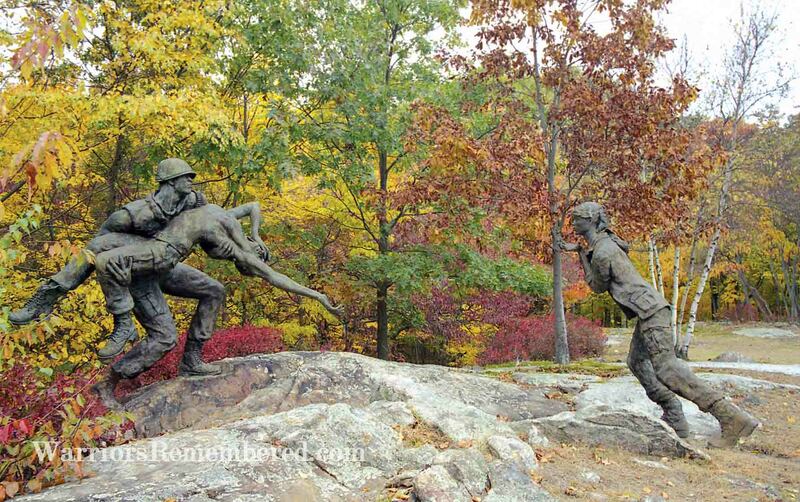 Comrades, a local granite monument company and members of a near by Special Forces unit volunteered to carry out the construction in the summer of 1995. Though he saw photos of the completed memorial, LTC Beckley never traveled to the site because at the time he was wheelchair bound with terminal cancer. He passed away on November 5, 1995. The main memorial has as a foundation the values of the warriors he chose to honor: Courage, Sacrifice, Valor and Honor and has inscribed the three countries of Indochina – Vietnam, Laos and Cambodia. It is topped with what appears to be a 40mm mortar, predating the most active American involvement. Visitors have left their own tributes with coins or live rounds showing respect for the site and leaving it undisturbed. Coming next: The memorial construction and LTC Beckley’s wishes.